The new constitution of 1791 replaced the absolute monarchy by limited monarchy. Though Louis XVI had signed the constitution, he entered into secret negotiations with the king of Prussia. In fact, the rulers of the neighboring countries were much worried regarding the developments the king place in France. They planned to send troops to put down the revolution. It infuriated the masses. Consequently, the National Assembly voted in April 1792 to declare war against Prussia and Austria. Volunteers in large numbers thronged from the provinces to join the army. They took this war as a war of the people against all the European kings and autocracies. 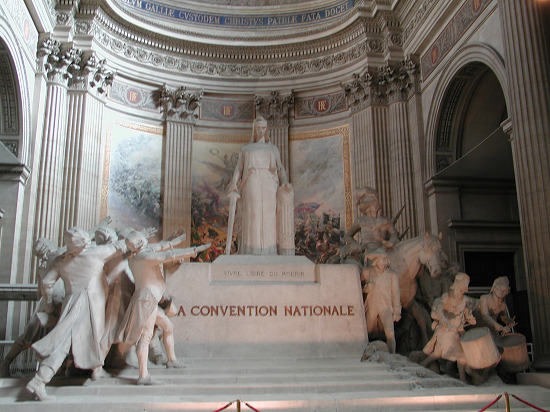 Marseillaise, a patriotic song composed by the poet Roget-de-L’ Isle became very popular among the masses. It got its mane from the city of Marseillaise as it was sung for the first time by the volunteers from Marseillaise as they marched into Paris. It is worth mentioning that Marseillaise is mowing the National Anthem of France. The king and the queen were like prisoners in their own palace. In June 1791, they managed to get away from Paris in disguise. But before the coach reached the border town of Varennes, they were caught by the mob and brought back to Paris as captives and traitors.